But when you get to witness it. 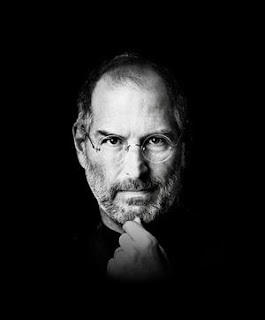 I don't think you can teach visionary leadership; well, not the kind of vision and leadership Steve Jobs had. Either you have it or you don't and it doesn't come around very often. It's something that is in the depth of your soul and you've been given the rare gift to be able to tap it and bring it forth. Most of us are trapped by our fears but there is a great lesson to be learned from one extraordinary life. One day you'll be right. It's very true. When given a diagnosis of a terminal illness, everything falls away and nothing seems to matter. All the drive for success and all the interest in the material things of this world mean nothing. Fear falls away because time is short. He lived every day with that thought front and center. I can only stand back and reflect. The profound effect of a life that changed the cellular industry forever; changed the way we think of acquiring music, the impact on technology alone is staggering. My introduction to Apple started with the ipod and I never looked back. I not only didn't look back but I can't imagine my life without an iPhone, an iPod and an iPad. I can't imagine not having an App store or iTunes.